Send this luxurious arrangement from the depths of your heart! 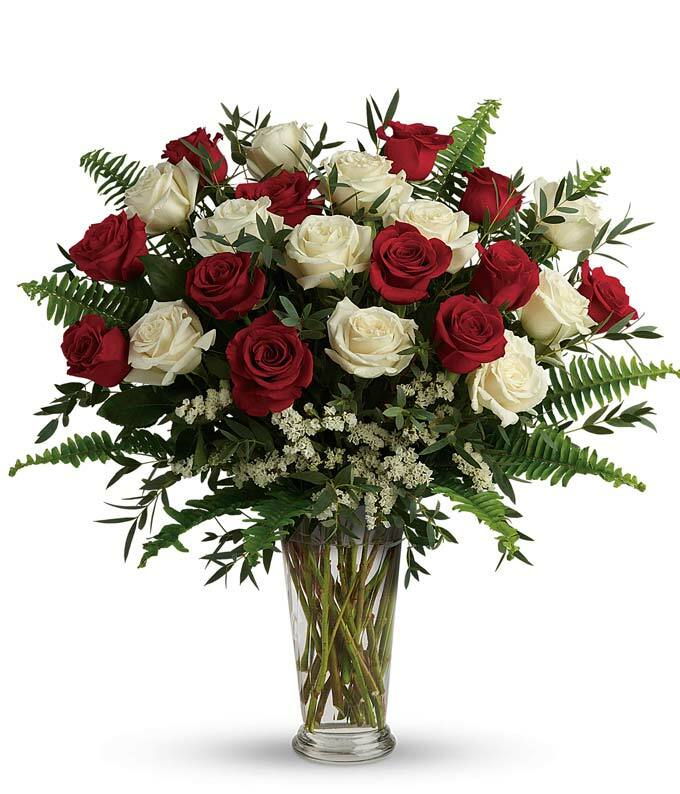 Red roses typically embody love and white roses symbolize purity, so let the language of the flowers show your recipient just how pure your love is! Approximate arrangement Height 23", Length 24"